Installation views of carpet and wall installation. 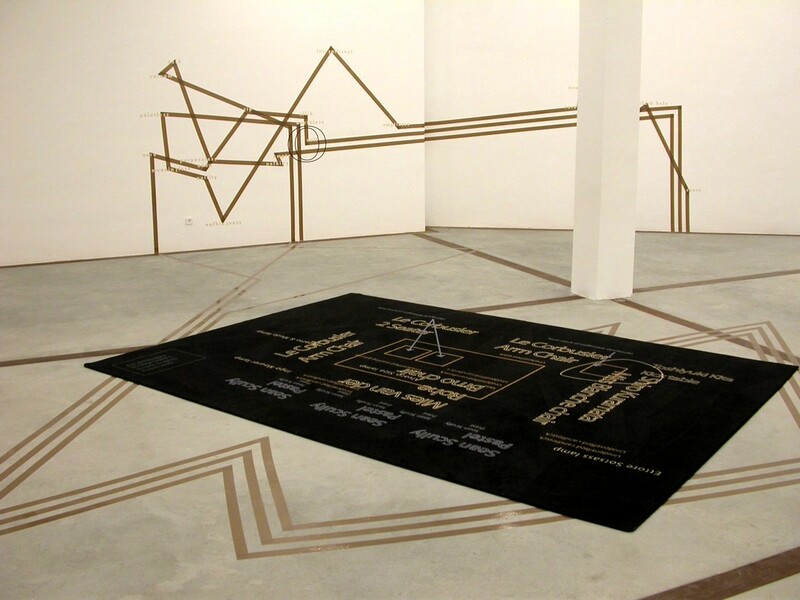 Together, a series of 3 carpets comprise the mapping of a selfproclaimed “Art Lovers” home. The carpets is a critical comment on art as a commodity, a commodity that gives the owner a particular status, as well as expensive designer furniture does. The title “Art Lovers Home” is from an article by the same name, in the danish interior design magazine Bo Bedre (Live Better) no. 8 August 2003. Oddly enough it seems in this case that design is much more a prerequisite to being an art lover, than art is.